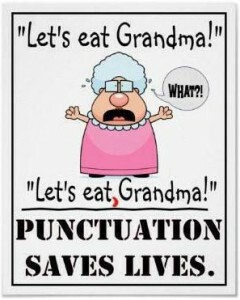 Home » General » Punctuation saves lives! 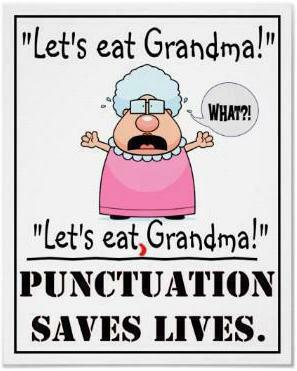 When writing—whether an email, book manuscript or corporate document—make sure not to omit punctuation that, if absent, completely changes the meaning of a sentence! My daughter loves this one…Enjoy!